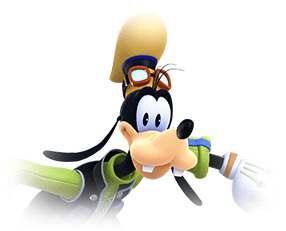 Goofy's character information for Kingdom Hearts 3, which includes his history in the Kingdom Hearts games and other character details. The ever happy-go-lucky Goofy serves as the defensive anchor for Sora and Donald Duck. Together with Donald, he is a part of King Mickey’s Royal Court. While Donald is the Court Magician, Goofy holds the position of Captain of the Royal Knights. As with Donald, Goofy is seen alongside Sora as they traverse the multiple worlds and yet again in the latest installment of Kingdom Hearts 3. Goofy Tornado 3 – Perform a floating spin that send enemies for a loop. Goofy Turbo 2 – Hop on a shield and slide into enemies. Goofy Bash 2 – Hurl a shield at the enemy. Treasure Magnet 1 – Automatically draw in and collect nearby prizes. – Stack the ability to increase the effect. Harvester 3 – Picky up one extra cooking ingredient each time you gather. 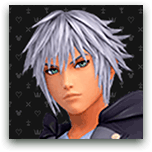 Defender 3 – Potentially increase Defense by 2 when your HP is at least 25% or below. – Stack the ability to increase the odds. In Kingdom Hearts Birth by Sleep, Goofy appears alongside Donald Duck. They are inside the Mysterious Tower, where Mickey Mouse is undergoing some Keyblade training under Yen Sid. Ventus arrives at the Mysterious Tower, thanks to the Star Shard that Yen Sid gave to Mickey. Yen Sid then tells Ventus and company that Mickey Mouse is in the Keyblade Graveyard and in danger. 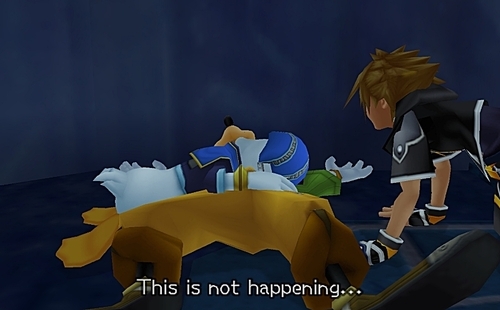 Ventus, Goofy, and Donald prepare to depart to the Keyblade Graveyard to aid King Mickey, but Yen Sid stops them. 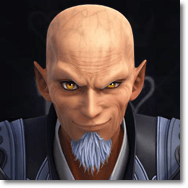 He tells Goofy and Donald that they are no match against Master Xehanort. Ventus goes by himself nonetheless. At the end of Birth by Sleep, Goofy witnesses Mickey surrender his Keyblade and Star Shard to Yen Sid, thinking that he has failed his test. Yen Sid smiles at Mickey and returns the Keyblade and Star Shard, much to Donald and Goofy’s delight and approval. Kingdom Hearts sees Goofy and Donald on a quest to investigate Mickey’s disappearance and bring him back to Castle Disney. As per Mickey’s instructions, Goofy and Donald search for another Keyblade wielder. They find Sora in Traverse Town and set forth to uncover the mysteries in the different worlds they visit. After slaying countless Heartless, defeating villains, and sealing Keyholes to multiple worlds, their travels lead them back to Hollow Bastion. Here they rescue Kairi and are confronted by Ansem. They fight Ansem, which leads to them traveling to The End of the World, where the remnants of Destiny Islands are located. After defeating Ansem, Sora, Goofy, and Donald try to seal the Door to Darkness but are powerless to do so. Suddenly, Mickey Mouse shows up along with Riku. Both of them rush toward the other side of the door and lock it from the inside. Sora and company are distraught by this, but Mickey and Riku console them by stating that there will always be a door to the light. Following the events of Kingdom Hearts, Kingdom Hearts: Chain of Memories sees Goofy accompanying Donald and Sora as they look for a way to rescue Riku and Mickey Mouse from the Realm of Darkness. Their journey leads them to Castle Oblivion where they meet Marluxia. They try to attack him, but Marluxia tells them that they have forgotten their skills and spells upon entering the castle. Sora and company eventually get their abilities back as they go deeper into Castle Oblivion. However, they also notice that their memories are slowly being erased. It turns out that a girl named Naminé is behind the memory manipulation. She tells them that she can restore their memories if they defeat Marluxia. After defeating Marluxia, Naminé leads Sora, Goofy, and Donald into Memory Pods. Naminé tells them that they need to sleep inside the Memory Pods while she restores their memories. Goofy and Donald go in their respective pods first, saying their goodbyes to Sora and Naminé. Afterward, Sora goes inside his pod to have his memories restored. Sora and company are still sleeping as the events in Kingdom Hearts 358/2 Days unfold. In Kingdom Hearts II, Sora and the gang wake up from their slumber. Their memories are restored, except for the fact that they cannot recall any of the events from Chain of Memories. They continue their quest in finding a way to rescue King Mickey and Riku from the Realm of Darkness. Following the siege of Hollow Bastion, Donald and Goofy are reunited with Mickey Mouse. Goofy is seemingly killed when he pushes Mickey Mouse out of the way of a boulder. Goofy gets hit hard on the head, and Mickey and Donald become furious and charge at the Heartless. However, the gang is relieved to see that Goofy was only knocked unconscious by the boulder. The gang then goes back to Twilight Town to find a way to get into the digital version of Twilight Town. After witnessing Axel’s death, Sora and company give their farewells to their friends and head to The World that Never Was. Here, they storm inside the Organization XIII’s castle. After Sora and Riku beat Xemnas, they are sent back to Destiny Islands. They are then reunited with Goofy, Donald, and the others. Following this, Mickey Mouse, Donald, and Goofy go back to Castle Disney. In Kingdom Hearts coded, Goofy is with King Mickey and is trying to suggest ways to decode the mysterious phrase written in Jiminy’s Journal. This leads to King Mickey and company creating Data-Sora. Data-Sora can go inside the digital version of the Journal and decode its meaning. Kingdom Hearts 3D: Dream Drop Distance sees Donald and Goofy with Mickey Mouse at the Mysterious Tower. Upon learning that Queen Minnie was kidnapped by Maleficent, Goofy, Donald, and King Mickey rush back to Castle Disney. Maleficent then bargains with Mickey – she’d let Queen Minnie free in exchange for the data he collected in Jiminy’s Journal. Mickey refuses, and Maleficent tries to knock them out with a spell. 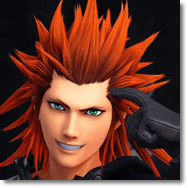 However, Axel comes in for the save, and Queen Minnie manages to escape using her power. This forces Maleficent and Pete to retreat. Goofy and Donald make the clutch save when they take out Xehanort’s Guardian. They then promptly rescue the captured Riku and Mickey Mouse, then finally Sora from Master Xehanort.